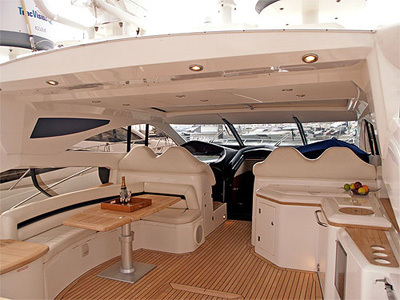 British yachtmaker Sunseeker launched its biggest boat yet at the 2007 London Boat Show: an $18 million, 37 m superyacht. So far, it has built three of them; two are under construction at its boatyard in Poole, England; and eight more are on order. The demand surprised Robert Braithwaite, managing director. "If we had sold five or six by now, I would be very happy." At the 2008 show, the company unveiled two more big boats, at $4.8 million and a $14 million. Annual sales over the past five years have grown 10% to 15% and show no signs of tanking, thanks to increasing numbers of wealthy buyers from developing countries. 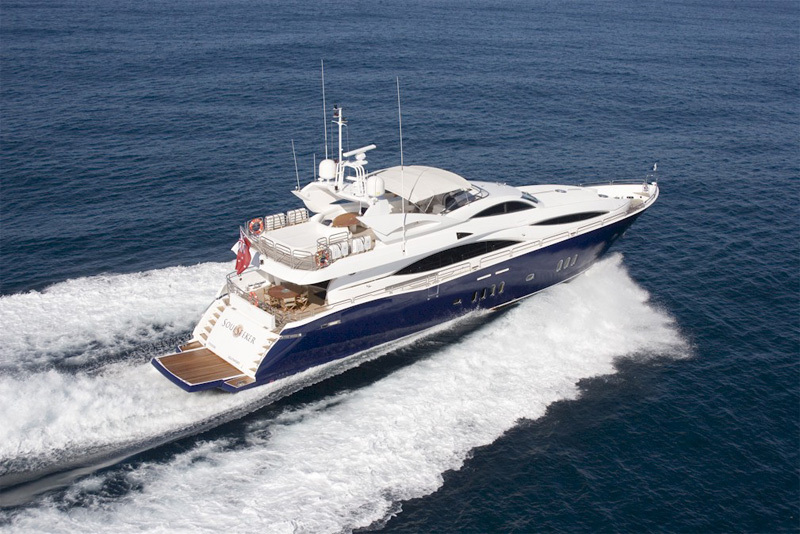 In the fiscal year ending September 2007, Sunseeker's sales jumped 18.5%, to $473 million. Sunseeker built 318 boats last year, but Braithwaite doesn't expect to better that pace five years from now. Why bother? He can keep revenues climbing by building bigger instead. Rapid growth in Asia, the Middle East and Eastern Europe, particularly Russia, is taking up the slack in the U.S. and Western Europe, where sales are softer. There are about 85,000 people worldwide with liquid assets of $25 million or more, and their numbers are increasing. Sunseeker's dealers in Dubai "will take anything we can give them," Braithwaite says. There are more superrich than there are superyachts to go around. But scarcity doesn't hurt this industry. The small number of yachts it builds makes it less vulnerable to economic upheaval: manufacturers need only rely on a handful of customers. Boatbuilding is highly labor-intensive, yet the industry's biggest players remain based in Western Europe and the United States, where workers are well paid. Braithwaite compares it to luxury automobiles. "If you built Rolls-Royces in China, you'd never get another sale. The product has to be fantastic." Yachts are still mostly handcrafted, although manufacturers now rely more on new technologies to improve quality and speed production. Customization rules in yacht-building. Onboard gyms and saunas are common, and some of the bigger yachts even have swimming pools. There are also megayacht toys such as small helicopters, minisubmarines, diving bells, and tenders that can accommodate sailboats and speedboats. 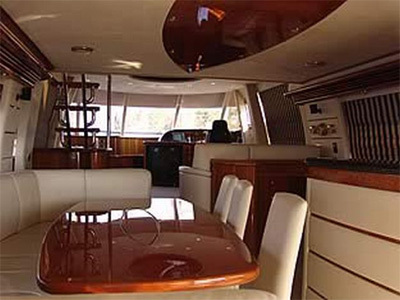 Annual running costs tend to be 10% to 20% of the boat's price. To meet demand, Sunseeker is spending nearly $30 million in 2008 expanding its boatyards in Poole and nearby Portland. AR I grew up in Poole. I watched the rise of this company. As a kid, I wanted to be a marine architect, designing such boats, before I went to Oxford and became infected with philosophy. I could have grown rich in the boat business. 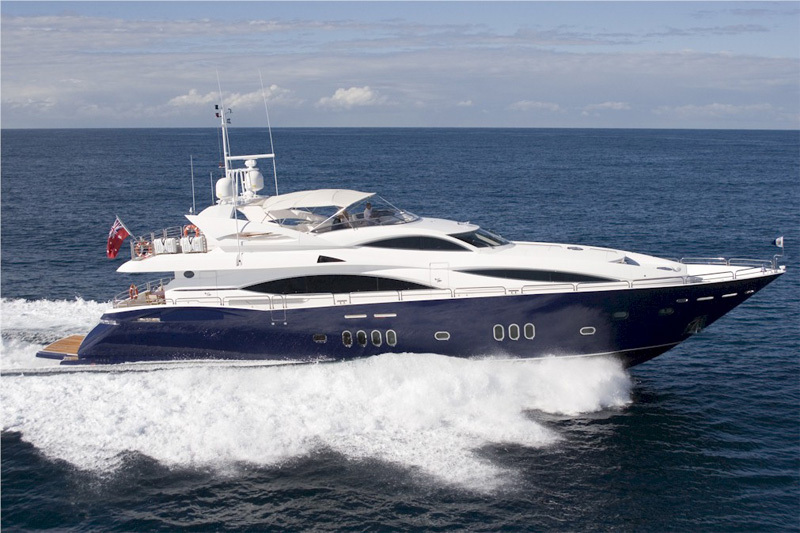 Postscript, October 2013: Sunseeker is now 92% by Chinese group Wanda, based in Dalian.